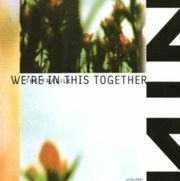 We're In This Together (also known as Halo 15), released on December 6, 1999, is actually a collection of 3 CDs distributed in Europe to promote the second single from the album The Fragile. 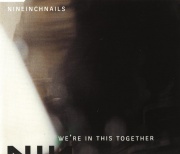 Due to its rarity when released, along with the fact that the single was not officially released in the US, this collection is a very coveted item for NIN memorabilia collectors. 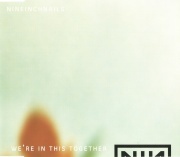 The singles were also released in Japan, with Obi strips attached to the artwork. No commercially available vinyl or cassette versions were released. The version of "The Perfect Drug" on this single is complete with a fadeout instead of the abrupt ending of the version on the Lost Highway Soundtrack. The order above was adopted and widely accepted as the norm, although sometimes debated among the fanbase; it's stated that CD2 should be called CD1 and vice versa. That point of view is based on record label catalog numbers and numbers found on obi-strips attached to Japanese editions. Adverts and newsletters sent to retail stores also lend support to the alternate order. 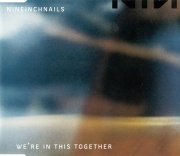 Actual Compact discs and inserts bear no <part N of M> designation whatsoever. Previous release - "The Fragile" Halo number: 15 Next release - "Things Falling Apart"
This page was last modified on 19 June 2016, at 22:46. This page has been accessed 142,663 times.